The history of philosophy is plagued with oppositional binaries; particular and universal, subjective and objective, good and bad. To be fair, most of these binaries were what the stuff of thought was before they started writing. They didn't create the binaries, they used the binaries and language of the argument to push the truth of their claims. Descartes was born into a universe which always-already had a set of notions about the body and the soul, and systems and structures of meaning that that gave the terms intelligibility. The body and soul binary is of clear religious import, and had become naturalized due to its widespread adoption into culture. When Descartes sat down at his table to think out existence he connected a set of dots by thematically inducing radical ignorance. From doubt, he began his meditations on being. Descartes error here is that he did not doubt the substance of his doubt. Descartes’s broke existence into two realms; the subjective sensory perceptions of a thing, and itsotherness a thing that does not fully conform to our perception of a thing. He concluded that because there is this otherness, or rather a part of thing that inaccessible to our knowledge that a minimal of doubt is required. What does this doubt consist of? In Descartes case, he fills's in doubt with universal glue that transcendentally connects the subject to the object; aka God. But if we are to be clear about our doubt how can we justify the introduction of introducing a God or a Devil into the argument, rather than a teapot? If we are to be serious about our doubt we must think outside the cultural and ideological imports of our current lived reality. So, what does Descartes's doubt consist of? Belief. Now, let me violently shift subjects. 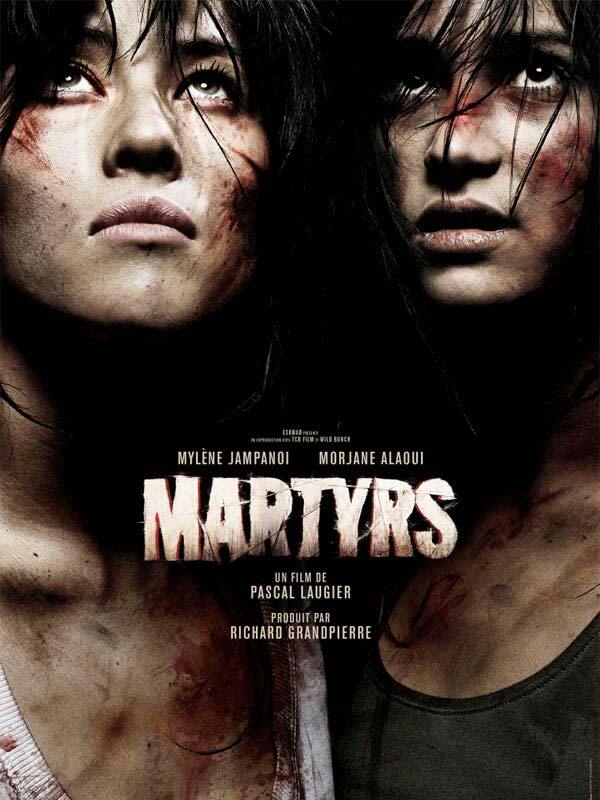 Martyr's is a film that takes doubt seriously. Let's trace the path of Anna's belief and see if we can saw into this doubt. As far as Anna knows, Lucie has no reason to lie about her experience being held hostage and tortured, yet Anna is not fully bought into her story. When Lucie calls Anna after she murdered the suburban family, Anna's doubt is enlarged. What's going on here? What's the origin of Anna's doubt? Anna came into relationship ship with Lucie when she was admitted to the children's mental institution. 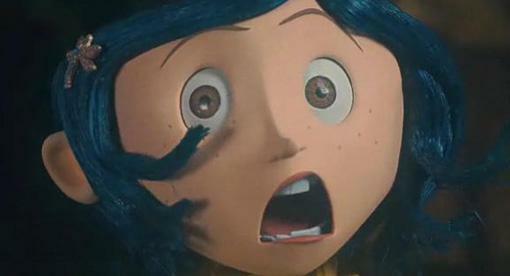 Anna was drawn towards Lucie due to a sense of compassion. During this time, because Lucie is not communicating with the doctors, so they enlist Anna's help to uncover the details of Lucie's captivity. This manipulates Anna into a position where she is baring witness to Lucie's traumatic story. When Anna and Lucie meet they are little girls and by the time they are released from the institution they are in their early 20's. Anna spent most of her formative life intellectually isolated in an institution fully embedded into Lucie's traumatic past and current pain. During this time, Anna developed a sense of responsible for Lucie's and romantic feelings towards Lucie. At once paternalistic and desirous lover. After Lucie kills a suburban family (whom she was only supposed to be observing) she calls Anna who has been waiting at a nearby pay phone. Anna arrives and immediate she is lost in the presence of death. A death which causes Anna to doubt rather than believe in Lucie. There is a sequence where Lucie's psychosis becomes apparent and she is confronted with a scarred woman who is attacking her. But what Anna sees is that Lucie is using a weapon against herself. What the psychotic episode highlights on is the disconnect between reality and subjectivity. Its as if to tell Anna and the viewer to "keep doubting." At this point in the film, Anna has serious cause to doubt the reality of Lucie's story. 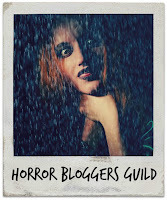 Lucie's current perspective is jaded by psychosis and trauma, therefore, her memory may not be trustworthy either. When Lucie eventually kills herself, Anna is confronted with a house full of dead people. She hears a noise from behind a bookcase and goes to investigate. Anna finds a set of hidden rooms and a scarred woman (that resembles Lucie's delusion). Anna then draws a bath and attempts to remove the metal device that has been bolted to the woman’s skull. When the woman can see again she snaps and kills herself. We are made aware in later moments of the film that the woman had visions of bugs crawling on her skin. What is interesting here is how this scene repeats tragedy. Once with Anna, and then again with what might as well be the materialization of Anna's delusion. It's as if to argue that what distanced Anna from believing in Lucie's story was her inability to fully commit to believing in Anna's narrative. What is Mademoiselle going on about? Let's saw into this. The oldest form of Martyrdom (that I am aware of) is rooted in a Greek law as someone who is persecuted and/or tortured around their belief or disbelief in something. So for example, Hypatia was a Greek philosopher and Mathematician around the time that the Christians began to revolt in Alexandra. Following the Greek tradition, the Christian revolutionaries confronted Greek leadership and dignitaries with a choice; convert to our God or die. Hypatia refused to convert, and as one version of the story goes she was stripped naked, skinned alive with oyster shells, and them proceed with further torment including burning. Sounds familiar? On the other side of Martyrdom is the reaction it provokes in its audience and witnesses. Empathy and doubt. At times, these are on the same side of an issue and sometimes they are not. For instance, an audience can side with publicly martyred individual by buying into the states accusations, and doubting the innocent pleas of the Martyr. One must keep in mind that the courts of public opinion then and now do not have a system of checks and balances to identify the accuracy of the information it is presented with. The state here plays the role of the emotional translator by providing the crowd with an easily assessable emotional state that reinforces the state's agenda with out question (aka doubt). The state like a film director are in total control of the information, tonality and the perspective in which you view the information presented. As viewers of Martyr's we are conformed into a specific emotional pathology based upon what we know about the characters and the situations they find themselves in. In most films this relationally is built in one direction in order to develop a kind of narrative trust that pulls the viewers along for a smooth journey that to an ending that seems to fit. Like a bow on a present. In Martyrs, as the second act transforms into the third act our expectations are subverted and at one and the same time confirmed. Lucie's was always truth, and now Anna is going to be confronted with its actuality. The clearest analogy that comes to mind is the all too common phenomenon where a woman is raped and reports the event to the police or authorities and they don't believe her, or devolve into some victim blaming line of questioning. What is going on here is more complected then it first appears. Yes, of course, there is a sexist rhetoric that is imbedded into systems where situations like this happen, but there is also an absence in the system's capacity for empathy. There is a sense in which skepticism which mystifies beliefs that supports the doubt is symptomatic of a one-dimensional empathy. For example, Anna of course is the most relatable character in the film and the main protagonist. We are never made aware what brought into the children institution, and this lack of back story helps the view identify with Anna's compassion. Compassion itself for victims of extreme violence is a relatively easy thing to do for the movie viewer. We see someone in pain (especially a woman) we are compelled into a roll of pity and it's relief. We, in some sense, feel and experience along with Anna the brutality she is experiencing, we pity her more then ourselves, we wish for the scene to end, and for our shared pain to stop. Then, in the middle of Anna's beatings, she accepts and moves beyond her ruthless oppression. She forgives and gives into oppression losing all fight and spit to alleviate her plight. But, this does not connect with the viewer. Anna has moved beyond her pain, but we are here still here in the lived reality of Anna's suffering. So who is more a victim and more of a martyr at this point? The viewer who is still in pain or the character than has moved beyond it? Returning to Descartes, what is interesting about this film is it capacity to maintain a sense of doubt that constantly calls everything into question, rather than inserting prepositional beliefs to force meaning upon the Real. Martyr's on the other hands presents a series of the most reasonable interpretation given what we know, which turn out to be truer then we realized only to subvert the capacity for relevant meaning in its final shot.